Available on iPad/iPhone/iPod with iCloud sync. We all take notes — somewhere. 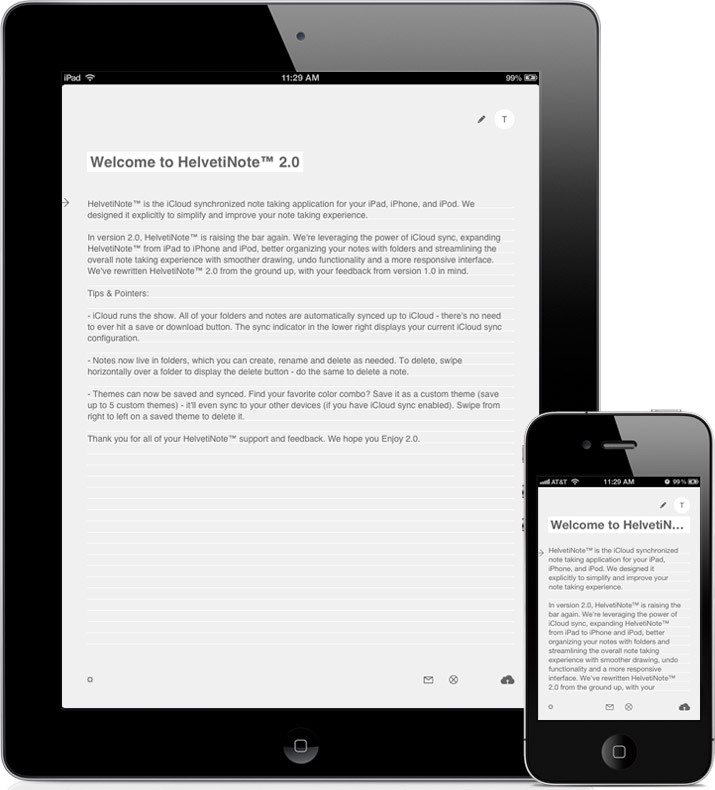 HelvetiNote™ is the iCloud synchronized note taking application for your iPad, iPhone and iPod. 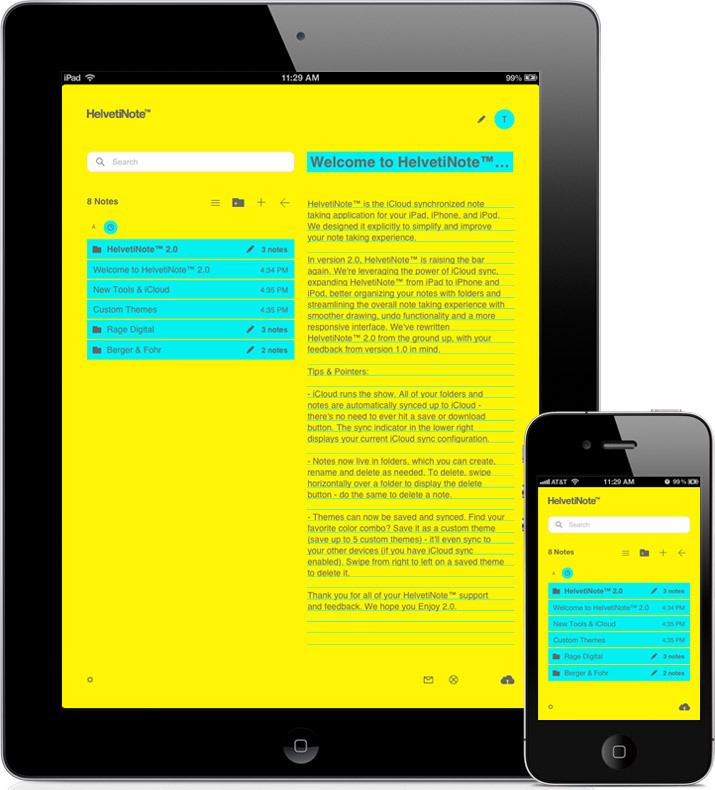 We designed it explicitly to simplify and improve your note taking experience. Collect your thoughts in the 1957 designed, Swiss classic, modernist masterpiece - Helvetica. 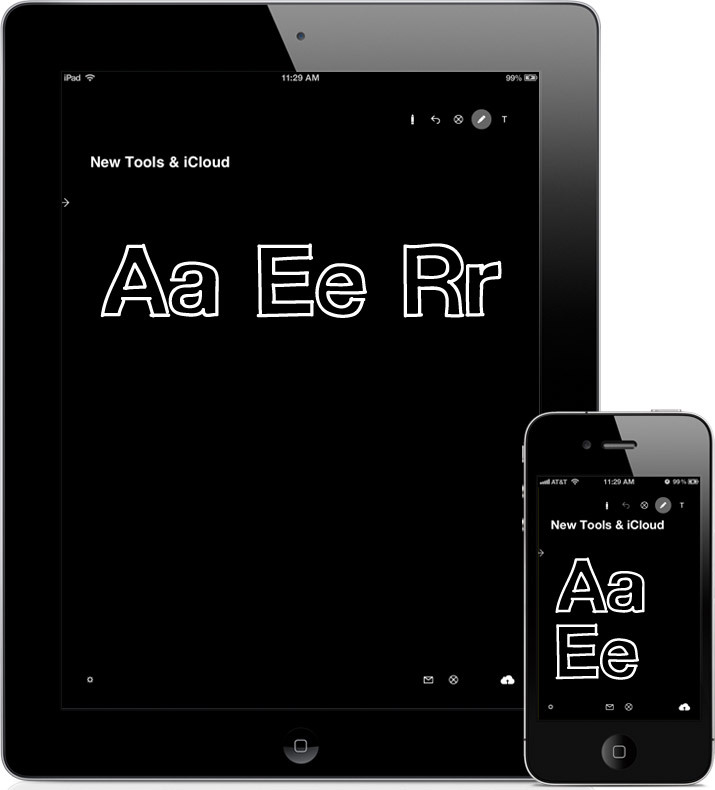 HelvetiNote™ 2.0's smooth drawing tool allows you to sketch and add hand drawn graphics to your notes. iCloud keeps all of your devices in sync so you can always access and update your notes. 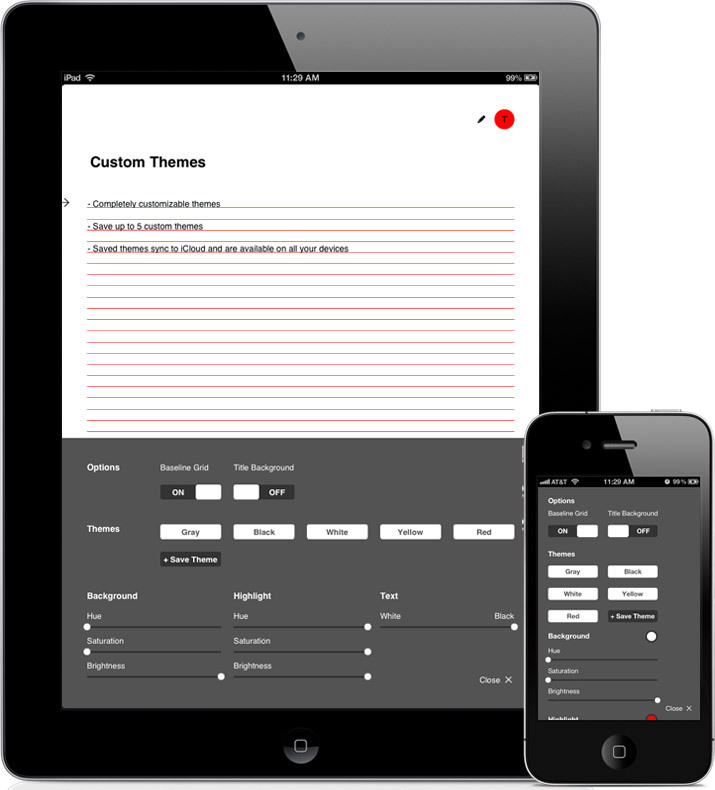 Create custom themes and save them - set background, highlight, and text colors to your preference.